Christmas stockings are as as much a part of the holidays as reindeer, Santa and gifts under the tree. But why do we hang stockings? There are no written records to document the origins of Christmas stockings, but there are some legends associated with the tradition. Many people have heard the story of how an act of kindness performed by Saint Nicholas led to the practice of hanging Christmas stockings. According to this legend , a nobleman whose wife had died had become poverty stricken and unable to afford the dowry for his three daughters. Without a dowry, the girls would not be able to marry. On Christmas, Saint Nicholas saw the girls’ stockings hanging by the fireplace and filled them with gold. In some variations, St. Nick throws gold coins down the chimney. Some say the re-telling of this story led children to hang their stockings by the fireplace, hoping that they might also receive gifts from Saint Nicholas. But there may be an even earlier origin of the Christmas stocking tradition. Author Phyllis Siefker in her book, “Santa Claus, Last of the Wild Men: The Origins and Evolution of Saint Nicholas, Spanning 50,000 Years,” traces the tradition back to the the Norse God Odin and the winter Yule festival . The author says that during the Yule festival, children would place their boots, filled with carrots, straw or sugar near the chimney for Odin’s flying horse. In exchange for this kindness, Odin would then reward the kids by leaving gifts or candy. This practice, the author says, survived in Germany, the Netherlands and Belgium after Christianity was introduced and later became associated with St. Nick. Many cultures now have traditions that involve leaving stockings out to be filled at Christmas, but there is a wide variation in the practice. In some countries – like Italy and France – children leave shoes instead of stockings, and in Italy, the gifts are left on January 6, the last day of Christmas . And since many modern homes don’t have chimneys, in many families the tradition is now to use Christmas stocking holders. 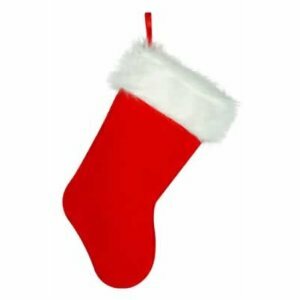 Even though the origins of Christmas stocking history will never be known for sure, it’s clear that hanging stockings on Christmas Eve is a tradition that will continue to be practiced each year at the holidays. Reprinted with permission fromChristmas stocking history on HubPages.